The Loft: Butches and Femmes in their 40s, 50s and over. I never heard of Ben Franklin either. The store, obviously I've heard of the person. Are you old enough to be on this thread? Does your mom know you're here? lol. Ben Franklin...a dime store that managed to outlive Woolworth's for some odd reason. I hadn't heard of the Ben Franklin stores either. It's likely regional. Yes, I'm old enough to be in this thread. No, my mom probably doesn't know I'm here. I'm not the only one who didn't know what a Ben Franklin was!!! I had my first date at a Woolworth Drugstore, we were both about nine years old. She looked black, I looked white – bad choice of restaurants. must be because I am older than all of ya and I don’t remember it! I don’t know it either. Cause y’all wanted to know that. Makes sense! I've not seen them in MS, FL, GA, WA, NY, TX or RI so that pretty much leaves the Midwest. They had them here in Virginia. There was one that closed only a few years ago in a town up the road from me. I hope that everyone is having fun. I am so busy that I can't even remember what day it is. How's all Lofters who think I don't belong here lol. My birthday is coming up this month and I will officially be into my 40's. I'll be 42. I know that's on the younger side in here but I'm feeling old!!! 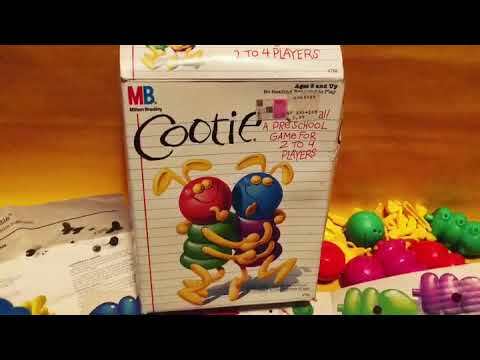 Just a few moments ago I came across a picture on FB of something called the Cootie Bug game. Most probably don't remember it. I had the game as a child....that was at least 150 years ago. Gawd...I am old. I knew people who had this version, and played with them as a child, when we visited. No I'm not that old, it's just people tended to take better care of things back then, also a lot of things for children then were better made sturdier than today's versions. Of course who knows how toxic the parts and pieces, painting and packaging were back then. That was my favorite game as a small child!! !